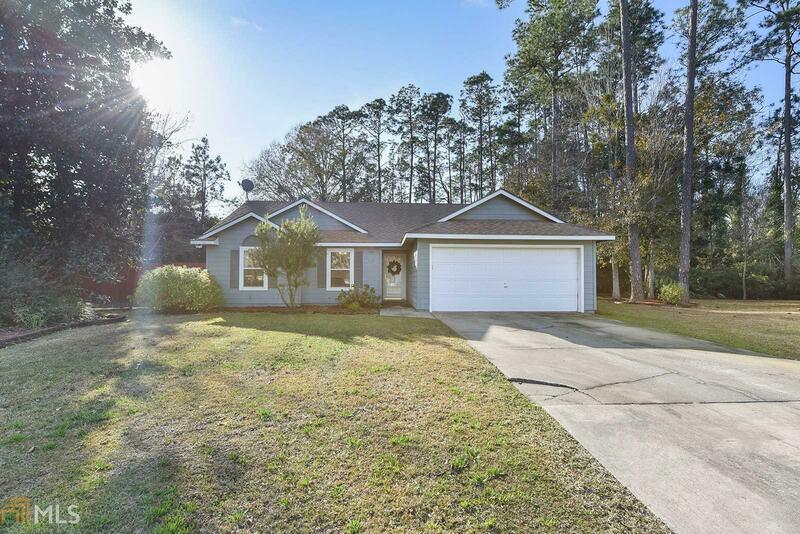 Immaculate 4 bedroom, 2 bath home in a popular neighborhood, at the end of a cul-de-sac in an award-winning school district near Kings Bay. A foyer entry leads to an open concept with new "Fantasy Brown" granite counters, breakfast bar, bead-board cottage style cabinets, deep single basin sink in fully-equipped kitchen with pantry, open to the dining room and living room have vaulted ceiling and tile surround wood burning fireplace. All bedrooms and living room have beautiful wood plank style laminate floors and white 2" faux wood blinds. 2 bedrooms have walk-in closets and the master bedroom has custom barn doors to the private bath. The covered back patio overlooks a large shady, fenced yard with storage shed for yard tools or toys. Easy to show! Directions: Lakes Blvd To Lake Pines, Left On Azalea Ct, At The End Of The Cul-De-Sac.